With the unexpected success of Tony Hawk’s Pro Skater and the rise in popularity of extreme sports, everyone threw their hat into the arena. 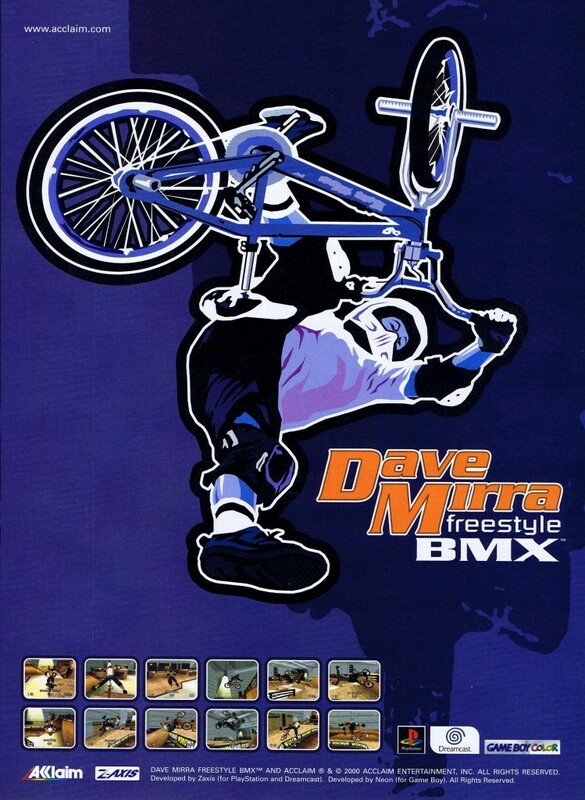 Acclaim teamed up with Z-Axis to make Dave Mirra’s Freestyle BMX which although not quite as good as the Hawk series, was pretty good in its own right. Tags: Acclaim Entertainment, Video Game Ad of the Day, Z-Axis Ltd.